Whilst I enjoy spending my weekends in the out-of-doors, I sometimes prefer travel from the comfort of my sofa. I love to read a book that takes me on an adventure. 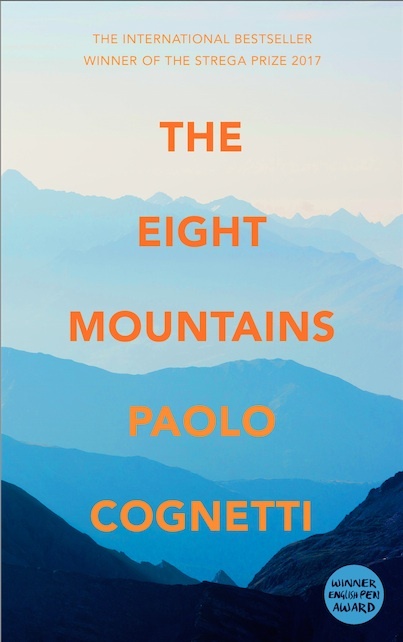 Last month I read ‘The Eight Mountains’ by Paolo Cognetti. I thought some of you might appreciate a review. The book starts out with our main character growing up in a small apartment in Milan. His parents live in the city for work, but are mountain people at heart. They take him off to the hills for holidays and weekends. Initially, his father seems like a somewhat grumpy character, until his true character is revealed to both us and our protagonist on mountaineering expeditions. We soon realize he is a deep thinker who needs the space, solitude and beauty of the mountains to truly be himself. As our protagonist starts to shake off his city upbringing, and to learn to love the river and hills around the cottage they rent, he strikes up a friendship with a local shepherd boy and together they discover pockets of wonder in the landscape which they describe in the book. I can’t help feeling the author must have read Per Peterson’s books as somehow the style of this early section of the book reminds me strongly of “Out stealing Horses” (a superb book that I also highly recommend). The author brings the landscape of the Italian mountains to life and lets us share in a beautiful and simple enjoyment of it. Later in the book we join the adult protagonist, who has now travelled the world, return to meet up with his childhood friend. The paths their lives have taken are contrasting, but we learn how they are both explorers of different kinds. They have experienced great pleasures and tragic hardships, but the mountains remain their constant refuge. And the shared love of the local landscape is force which holds their friendship together when the direction of their lives pulls them apart. This has to rank among my favorite mountain fiction books. I was utterly convinced by the writing and I was so sure that it was memoir that I googled it at least twice only to discover that it really is a work of fiction. The description of the mountains and a friendship built in this environment is beautiful. For me, it totally encapsulates what I love about mountain landscapes; why such remote places are special, and the sadness of the fact that our enjoyment of these places is only ever transient. This was a book that I was itching to get back into reading whenever I put it down, whilst at the same time I was sad to read it so quickly: I didn’t want it to end.